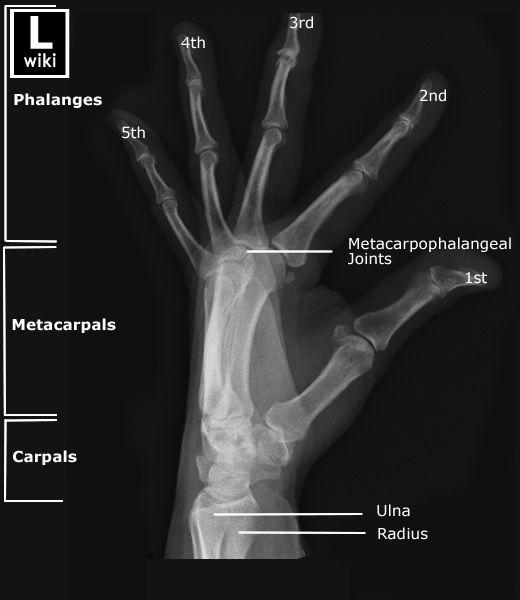 Frontal radiograph of the hand with labels. 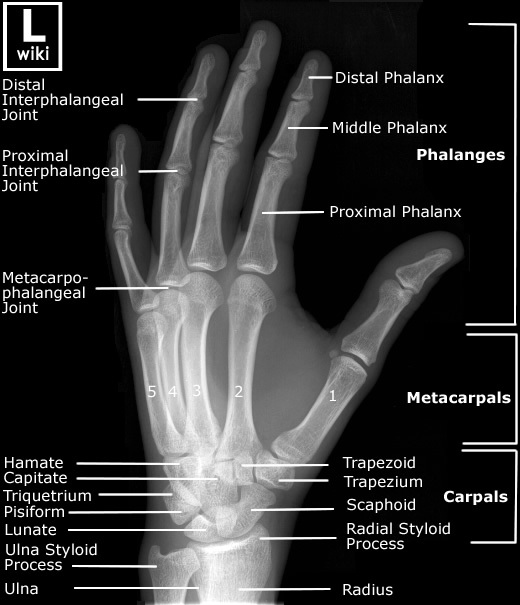 Oblique radiograph of the hand with labels. 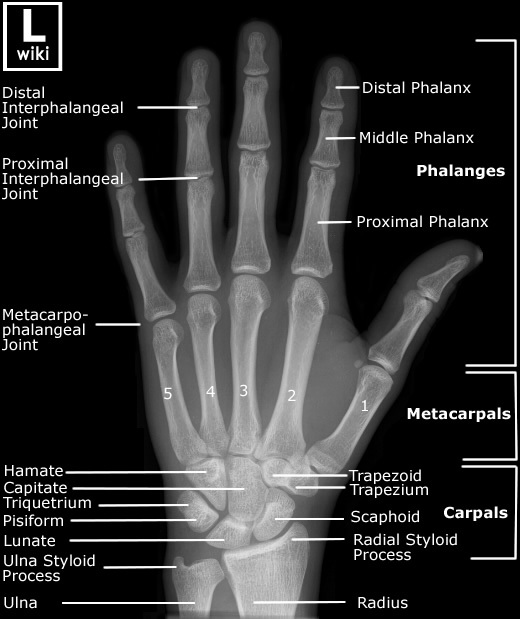 Lateral radiograph of the hand with labels. Lateral fanned view of the hand with labels. 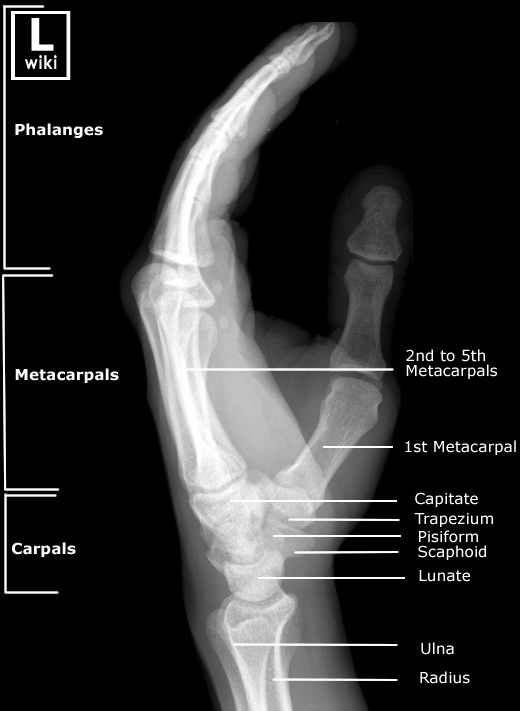 Image source from WikiRadiography (WetPaint) here. See a boxer fracture here.